"That's unreal!" Webinar replay. Hear what customers like you have to say. Fixing a sidelined printer can be a real blow to your budget, but with Xerox eConcierge, it's free. 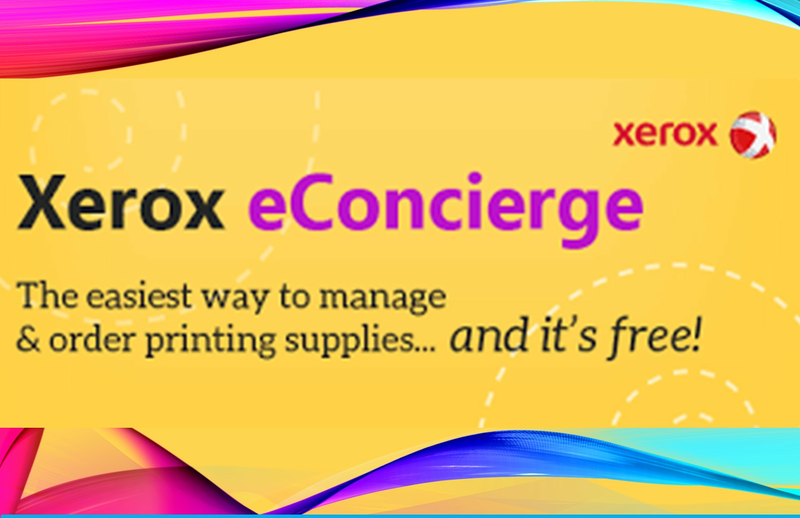 You earn service coverage through Xerox — worth $55-$800 a year — just for buying your usual supplies. Service coverage starts after 30 days and the second supplies order for each printer and continues until you stop buying supplies through the program. The Supplies Assistant desktop app tracks supply levels in the background and lets you know when supplies are low. No more printer downtime waiting for supplies to arrive or pricey overnight shipping charges. The Supplies Assistant desktop app identifies your printer model and tells you exactly which supplies you need. Your supplies come from Shop Xerox and cost the same as they do on the Shop Xerox website. If you have many printers on your network, it's easy to tell the Supplies Assistant app which printers to track and which to ignore. And Xerox eConcierge is contract free — you can leave the program at any time. Install the Supplies Assistant app on any computer on the same network as your printer. Choose which printers to track. The Supplies Assistant runs in the background and notifies you when supplies are low. Supplies Assistant creates an order with the supplies you need. Review your order and place it in a few clicks on Shop Xerox.